This is an archaeological collection of technological artefacts from the 20th and 21st centuries, constituting a “museum for a future”. 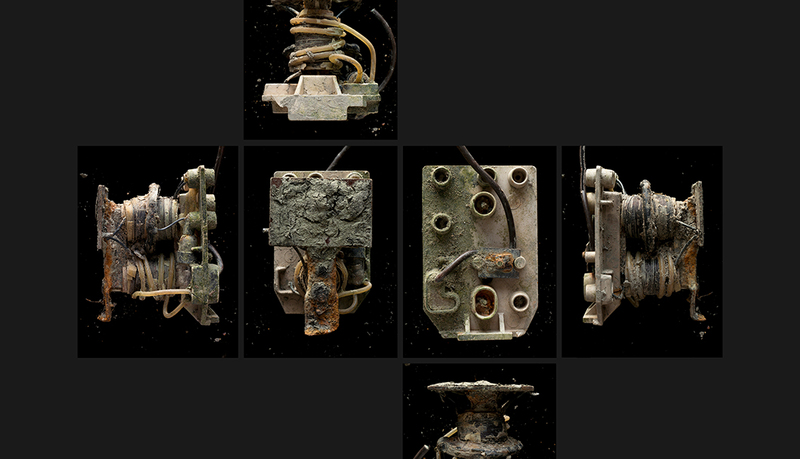 The objects are found on the river Thames’ foreshore in London, at low tide. The foreshore is a particular archaeological site: it is a fringe between a natural environment and urbanisation where objects age rapidly because of the tides washes and are altered through contact with a variety of other materials as well as the fauna and flora found in the river. The collection is conceived to be displayed in science or media museums. Planned obsolescence together with people’s greed for novelty are turning technological objects out-of-date at a growing pace, creating great amounts of waste and rendering the remnants of our civilisation already visible. Hence, the Museum for a future presents an archaeology of the collapse of our civilisation based on technology and consumerism. 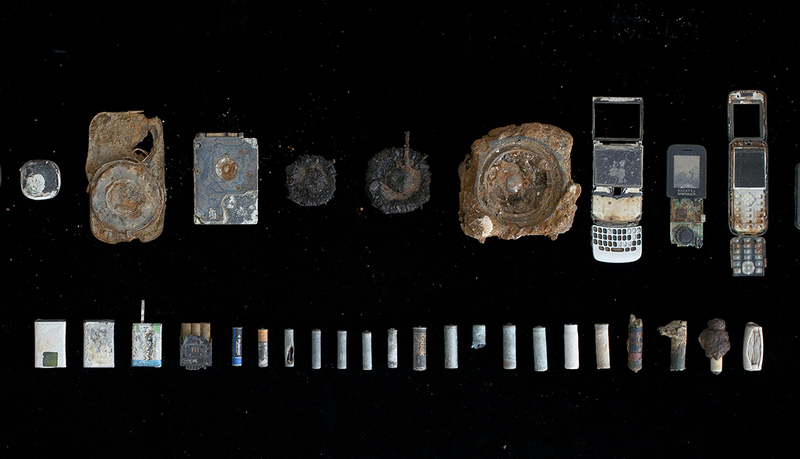 The objects constituting the collection are found on the Thames’ foreshore during long hours of search. This practice is called “mudlarking” in English: looking for valuable objects or materials in the mud of the banks, or simply gleaning them on the surface. The artefacts are exhibited on tables or in vitrines. 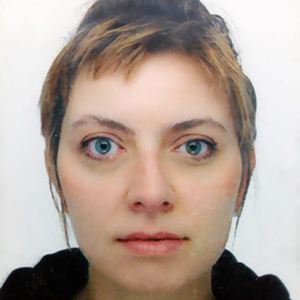 Each specimen is also portrayed with high-resolution photography. Found electronic objects of variable sizes (from 10 x 25 x 3 mm to 350 x 270 x 160 mm). Colour photographs 70 x 80 cm and 35 x 40 cm. 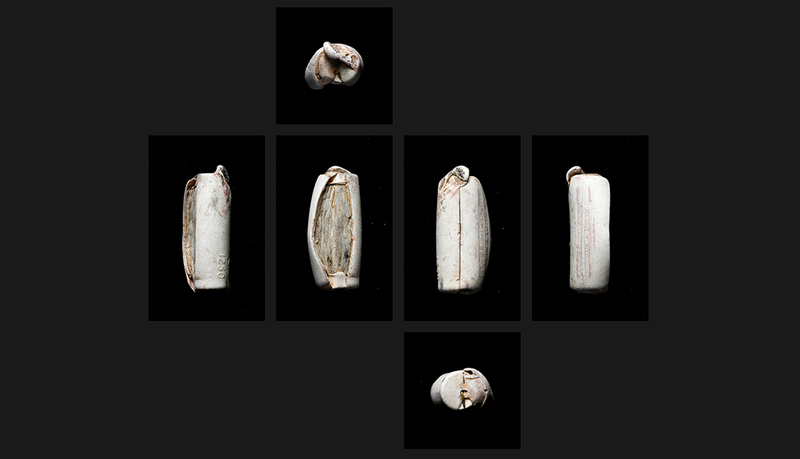 Simple, poetic yet compelling project that turns our conventional notions of archaeology and geology as being solely about the distant past on their head. 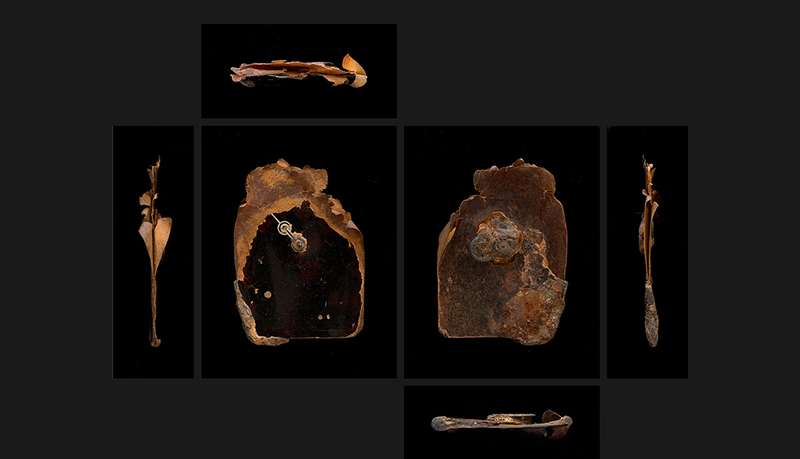 In reality, the patina of these toxic remains created by the Thames lacks perhaps the lustrous beauty of the photographs. Nevertheless, they bring with them a realisation of how contemporary consumer behaviour will ensure that they will accumulate, layer by layer and continue to pollute long after the technology that underpinned them is extinct. 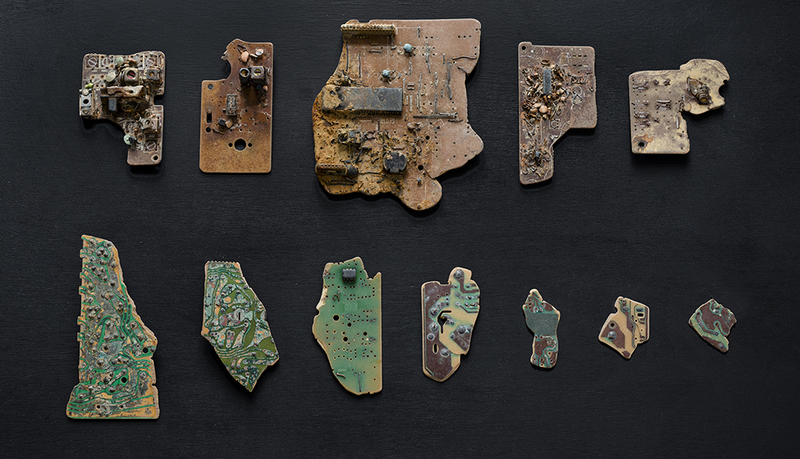 This thoughtful project highlights the contrast with a past where so much was absorbed back into Mother Earth without despoiling it in quite the same way.